This thought-provoking companion to Nikki Grimes' Coretta Scott King Award-winning BRONX MASQUERADE shows the capacity poetry has to express ideas and feelings, and connect us with ourselves and others. Darrian dreams of writing for the New York Times. To hone his skills and learn more about the power of words, he enrolls in Mr. Ward's class, known for its open-mic poetry readings and boys vs. girls poetry slam. Everyone in class has something important to say, and in sharing their poetry, they learn that they all face challenges and have a story to tell -- whether it's about health problems, aging out of foster care, being bullied for religious beliefs, or having to take on too much responsibility because of an addicted parent. 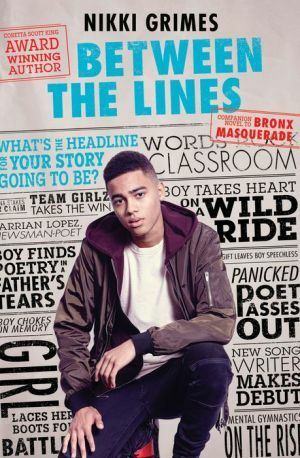 As Darrian and his classmates get to know one another through poetry, they bond over the shared experiences and truth that emerge from their writing, despite their private struggles and outward differences.